Use WakandaForever for FREE SHIPPING and treat yourself to healthy hair. J. Marcelle Lashley-Kaboré is passionate about impacting change. In 2013, inspired by her first visit to Africa, she added Social Entrepreneur to her already successful career path as an Experiential Marketing Content Curator and Producer. Her purpose is to be an advocate and provide a platform to be a voice for the voiceless. She desires to help equip youth to re-write their own narrative and rise against their injustices. In her youth development work to date, she has used multimedia to create a voice and choice platform for youth which has garnered 5NY Emmy® nominations for social justice and documentary film pieces. Dooplex: What was your inspiration to go to Africa? Lashley-Kaboré: It was around 2008 that I started traveling, at which point I had made my footing in New York and was working full-time. I began traveling because I felt like I was at that place in my career to experience new places and cultures. I distinctly remember telling myself from that point on that in 5 years I would go to Africa at which point the year would be 2013, and 13 was always a lucky number for me. I wanted to start with the countries of my origins, sort of like a tour of my heritage. I had already visited Guyana and Trinidad, and then the opportunity in 2012 was presented to me to lead an NGO based in Tanzania. I felt like my vision was literally manifested. I had previously been to Europe and other parts of the world, but when I got to Africa, I realized it was less expensive than other destinations. I realized that Africa shouldn't have been a bucket list item for me, because it was more accessible than Europe and the Caribbean. 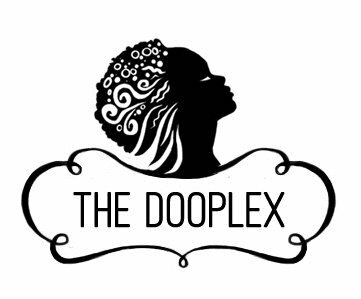 The Dooplex: How did that Africa trip change the course of your career? Lashley-Kaboré: When I went to Tanzania, I instantly felt a sense of home. It wasn't just the fact that I reached a destination that was a pinnacle for me, but I was amazed at how it reminded me of Trinidad, it reminded me of Guyana. It was a proverbial home for me. It was no different from the countries I had spent the past few years exploring in search of my lineage. When I was there and began to meet the people and do the work and immerse myself in the culture and the environment, I would think to myself, "how can I live here?" I didn't want to go home. I remember we had begun the process of purchasing properties for the foundation and I knew that that's exactly where I wanted to be. I decided that Africa is a huge continent and that I really needed to explore it. Each time I've gone, it's always felt like home for me. It didn't just change my career, it changed my life. Every time I've gone, I've learned more and more about myself. It's helped me tap into my purpose and what it is that I'm supposed to be doing. While I focus on work there, I know that my work isn't exclusively in Africa but rather connected across the board. I believe that's where the path to purpose began for me. What are the greatest challenges for young kids of color? Lashley-Kaboré: One thing that I can identify with in regards to African-American children along with first generational African and Latino students is that they don't know the richness of their heritage. They don't know where they come from or see value in their heritage. I believe many of these students only get to see the circumstances of today and how "doomed" their generation is. I'm always amazed when my instructors and myself are able to stand in front of them and give them insight of their history and show them correlation between their ancestry and royalty versus what they know their generation to be today in the way they've been degraded and diminished. I think that's a huge problem. What is your greatest hope for youth today? Lashley-Kaboré: I'm already starting to see hope happening with Gen Y-ers who have learned from Millenials and Gen X-ers. They don't want to take any BS, and that combined with knowledge of self, will truly make them fearless. My greatest hope for youth today is that they will actually discover and honor their worth and walk in their fullest potential at a young age. What are some of your greatest accomplishments to date for kids? Lashley-Kaboré: I'm glad that I'm able to establish a platform with education access and opportunities that require action. I've created a platform that allows kids the ability to identify that they don't have to wait until they grow up to accomplish certain goals. They can make impact now. That's how the NY Emmy nominations came into play. These kids have been able to see by achieving a huge milestone that an adult would typically receive that they too can accomplish so much. It's about finding heroes in your own generation and knowing you can do things yourself. What would you like to say to Education Secretary Betsy DeVos about the school system and what kids need to be inspired? Lashley-Kaboré: Primarily, my message to Betsy DeVos would be to "please get a clue!" She just seems so close-mind. I want to tell her to open her mind and step outside of her comfort zone, step outside of her country. She needs to go somewhere where she will see something, learn something, and do something different. What's your relationship with your hair like? Lahley-Kaboré: I always say "My mother taught me how to be a lady, but my father reaffirmed by femininity." I come from a large family of women, and all of them were very strong. I was surrounded by a group of women in my family that reminded me of a tribe of Amazonian warriors. Additionally, when your father constantly tells you how amazing you are and how much he loves you and how wonderful you are, you start to see yourself as a prized possession. When I grew up, any man couldn't just tell me I was pretty and I'd open my legs. I would reply with "I know. We grew up knowing that, so come harder than that." It was my nature and my nurture, from my father's influence and my mother's example. How do you feel about the beauty industry when it comes to women of color? Lahley-Kaboré: We have come such a long way. I love to see that there are so many natural hair care lines and beauty brands that are for women of color, even more so that they are made and run by women of color too. It's not just a European brand or a white male in charge of a segment. It's not just a business decision, it's a personal decision, it's a connection. My sister, Iche Martinique, has a natural body butter line called Neteru Naturals that she started herself in her kitchen. She wanted to use essential oils and natural ingredients for her baby, so she made her own product because she wasn't finding what she wanted in the stores.. It's inspirational that women like my sister decided to make their own products when they couldn't find products that were fitting their lifestyle. There are so many brands, in hair, nails, and body created by women who want to serve themselves and everybody that looks like them.